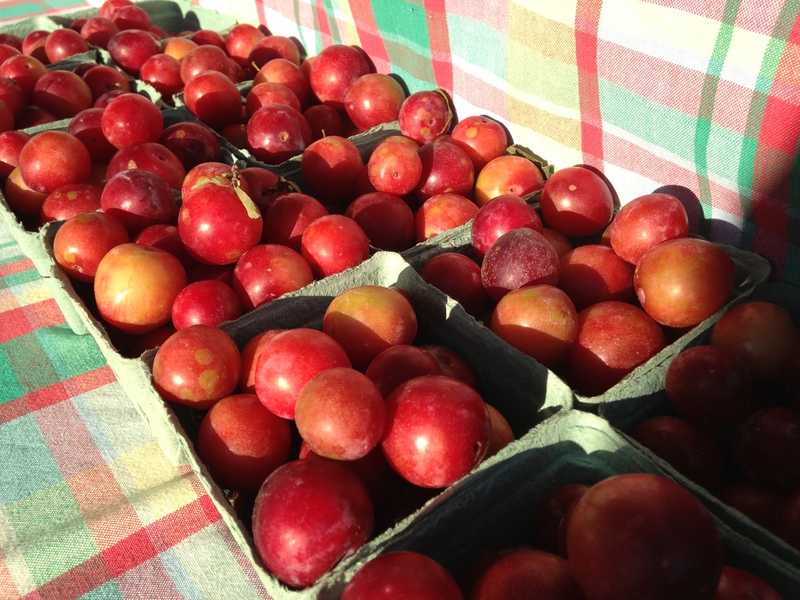 Summer will last just a little bit longer this year (at least in your mind) – Tower Grove Farmer’s Market has extended it’s 2013 run through November 23rd! How is this possible? Through the miracle of modern technology, farmers are able to protect their crops from frost and extend the harvest into late fall. Ever see a structure on a farm that looks like a long, narrow greenhouse? It’s called a high tunnel and it protects the crops growing inside it from the weather elements that could destroy them. Thanks, science! So this year, you have four additional weeks to pick up delicious fall produce, cheese, baked goods, meat and of course, Kakao chocolate at Tower Grove Park! Luckily, we can produce our chocolate year-round since we work indoors. Find us in our usual spot for the next four Saturdays. We’ll have all your favorite Kakao goodies and probably a sweater! And the party isn’t over after November 23rd – the Winter Market begins Saturday, December 14th and will continue every second Saturday of the month through March. The Winter Market is located in the City Garden Montessori School gym, at 1618 Tower Grove Avenue, just north of the I-44 underpass. Happy fall, everybody!